Climate change activists are calling for a halt in Canada’s plans to build a new coal export terminal on British Columbia’s Fraser River and expand an existing one in North Vancouver. In an open letter released Wednesday, a group of about 200 prominent Canadian and U.S. climate scientists, academics and environmental groups called on he Vancouver Fraser Port Authority to delay expansion plans that would make it the largest exporter of coal in North America. The letter asks authorities to put plans on hold until greater public involvement is granted, calling for “explicit consideration of the global climate change impacts” related to the export of coal that could be burned to produce electricity. 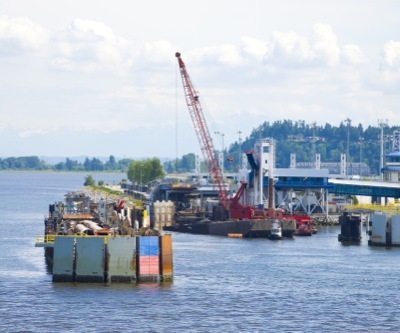 In response, Port Metro Vancouver director of planning and development, Jim Crandles, said the port’s mandate is to facilitate trade, adding that the applications have been referred to Surrey and North Vancouver for comment, and that Delta and New Westminster have also been notified. The pressure to send more coal abroad responds to the U.S. coal industry’s needs to tap new markets in Asia. However, the country faced serious opposition coming from northwestern states. Eric de Place, a researcher with the Seattle-based Sightline Institute, told Cloverdale reporter that six large coal export terminals have been proposed in Washington and Oregon. “But activist opposition has already killed one of them,” he added.